Happy Thursday to you, cryptocurrentologists. We hope that your week has been a good one so far, and that you’ve had the chance to diversify your crypto-folio a little bit, or at least cash out on some gains this year. What do you have planned for the weekend? Does it involve using some tidy profits to take the fam or your bad self on a mini-vacation? Whatever the case may be, and even if you aren’t sitting on liquid profits, we’re still here for you, ready to keep you up to date on what’s going on and what you need to know, so that hopefully you can join the millions who have already seen the quality of their lives improve through the small miracle of the blockchain. Many major media outlets, including AFP, The Wall Street Journal, and CNN are all blaming a recent bill to come out of South Korea effectively “cracking down” on the creation of new cryptocurrency exchanges – possibly even leading to their banning in the crypto-savvy country – as the main culprit. 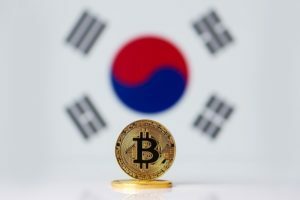 Along with China and Japan, South Korea is the home to some major trading exchanges, such as Coinone, Bithumb and Korbit, and due to their high demand in the country of 51 million people, bitcoin frequently trades as high as a 30% premium compared to other markets. This has led some bitcoin price statistic websites to remove these exchanges from their averaging calculations, which has also contributed to the seemingly drastic price reduction in BTC over the last month. However, there are a few time periods in which bitcoin remains up — extraordinarily up. Despite the negative price movement, press, turmoil and volatility which it has endured over the last week and month, the price of BTC remains up an astonishing 500% over the last 6 month period (515% as of the writing of this article). If any other commodity, stock, or heaven forbid bond were to see this type of gain (which they seldom do — this kind of action is usually only experienced in the cryptocurrency world), BTC’s “drastic” decline would be chalked up to “profit taking”… which is exactly what is happening now. Considering that the price per bitcoin was only $785 one year ago to the day, an 18-fold rise in price is nothing to scoff at, and considering that it was about exactly one year ago that heavy Wall Street money began to pour into the crypto space, it would be all-too-easy to blame a single country’s regulatory threats (albeit a country perhaps overenthusiastic for cryptocurrency) for bitcoin’s fall from grace in 2018. The real culprit: the price of BTC experienced extraordinary gains in 2017 as big-moneyed investors raced to jump on the money train, and those who got in early are pretty happy taking even “just” a 10-fold return on their investments. Bitcoin isn’t the only coin to suffer a relatively steep decline in recent weeks. Its long-time rival Ethereum also experienced a 10% drop in the last 24 hours, sinking as much as 12% on the negative comments of South Korea’s justice minister, but still remains up 12% over the last week and a whopping 70% over the last month. Ripple (XRP), Stellar (XLM), Litecoin (LTC), NEM (XEM) and newcomer Cardano (ADA) are all also down over the last 7-day time period, as investors cash out massive gains incurred among the top 10 cryptocurrency favorites by market capitalization. This small list of countries has a few things in common: they face political and/or economic instability, and fear that cryptocurrency may someday replace their own national fiat currencies, which would in essence render the holdings of their federal reserves worthless, which they might someday be anyway. This scenario holds especially true in Zimbabwe, where the Zimbabwean dollar totally collapsed in recent years, leading to the creation of bank notes with 13 or 14 zeros in them. In 2015, the currency was finally ditched and the government offered the populace a new exchange rate: 35 quadrillion Zimbabwean dollars for $1 USD. It is these countries that could benefit from cryptocurrency the most, and as Venezuela has proven, where there’s a will, there’s a way. In a moment of cosmic irony, one of the so-called “masters of the universe,” Wall Street titan and JP Morgan CEO Jamie Dimon recently reversed his stance on bitcoin being a fraud, still months after he was laughed at by pretty much the entire cryptocurrency community and everybody who knew anything about the not-so-hidden potentials of blockchain technology. Though its not a surprise that the old guard of finance should be slow to catch on to the new wave of technology, it is surprising to hear one of the most powerful people on the planet admit they were ever wrong about anything, especially given the fact that history demonstrates time and again that the magnitude of their wrongness can have breathtakingly severe effects on the world economy. What was the important step? Agreeing to be bought and basically bailed out by JP Morgan (of which Jamie Dimon was at the helm), who in turn had to be bailed out by the federal reserve later that year. Dimon then increased the price of acquisition of Bear Stearns from $2 a share to $10 a share, basically diminishing the net worth of his company by a billion dollars over the course of two weeks. His investors saw the value of their shares plummet drastically, leaving many in financial ruin. Dimon, on the other hand, would receive his own bailout in November 2008, and for reasons unexplained still remains as CEO of JP Morgan, even after having to pay a $20 million fine for “gross negligence” in the mishandling of customer funds. 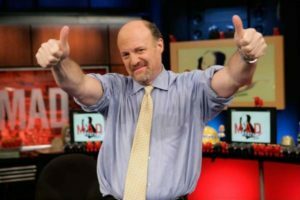 Even though Dimon says he has no plans to involve himself or JP Morgan with cryptocurrency in the future (probably for the best), his sudden reversal of opinion about bitcoin further validates the legitimacy of the blockchain, and perhaps he doesn’t want his legacy to go down as having both feet on the wrong side of history when his time for retirement finally arrives.